Newspaper headline on the morning of September 14, 1959. Pittsburgh Post-Gazette, September 14, 1959. 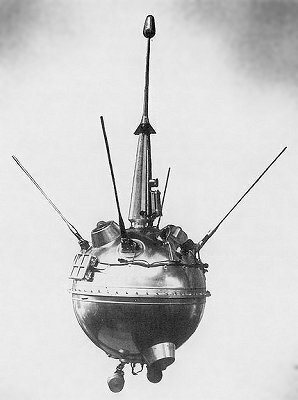 Image of the Soviet Luna 2 probe, 1959. Courtesy of NASA. While the Soviet success of Sputnik 1 in October 1957 was the more famous milestone, the voyage of Luna 2 also heightened Cold War anxiety in a nervous U.S. But Luna 2’s historic voyage also served as an international reminder of the long-held dreams of people to connect with the brightest object in our nighttime sky, if only in their imaginations. The ancient Romans dubbed one manifestation of their moon goddess “Luna,” or the Latin word for Moon. Centuries later, in 1901, visitors from across the United States flocked to a different Luna at the Pan-American Exposition in Buffalo, New York. 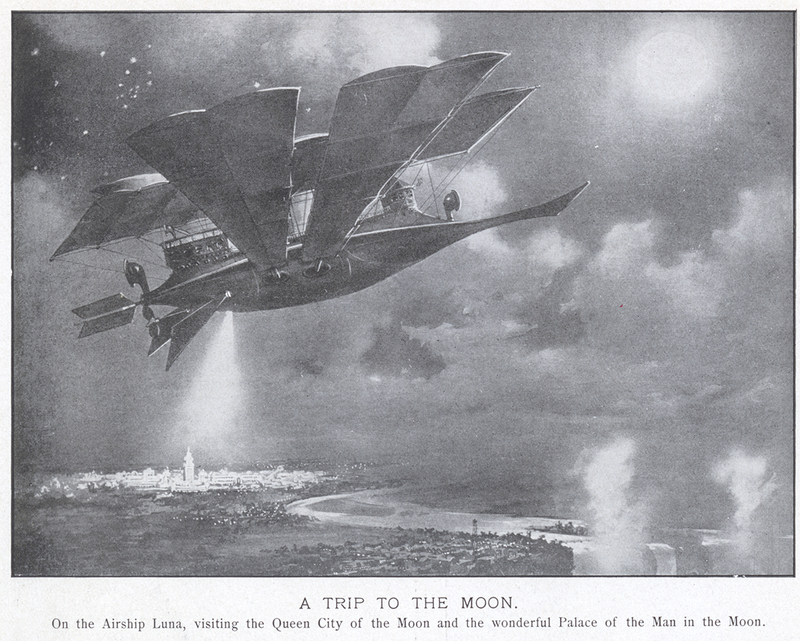 There, would-be space travelers eagerly paid the princely sum of 50 cents to enter a ride called “A Trip to the Moon.” They boarded an airship-ornithopter (a craft the flies by flapping its wings) dubbed the “Luna” and enjoyed a simulated space voyage to a papier-mâché Moon, complete with space caves and Moon maidens. Promotional brochures portrayed the ride as the normal service of the “Aerial Navigation Company,” with “30 airships flying daily” from the landing dock at Buffalo to the surface of the Moon. 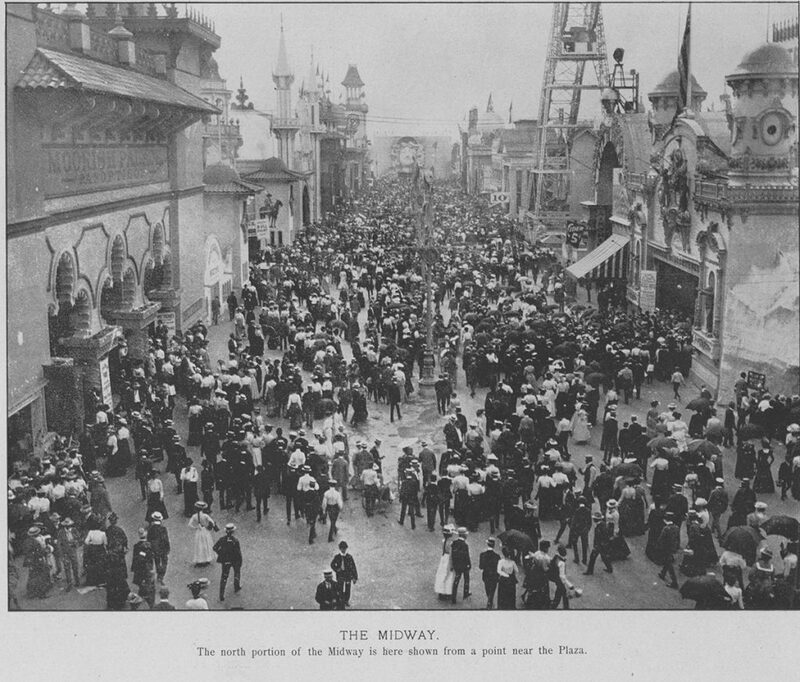 [ii] It was the first electrical dark ride in the nation. Cy Hungerford, The Big Shot Could Hit Any U. S. City!, 1959. 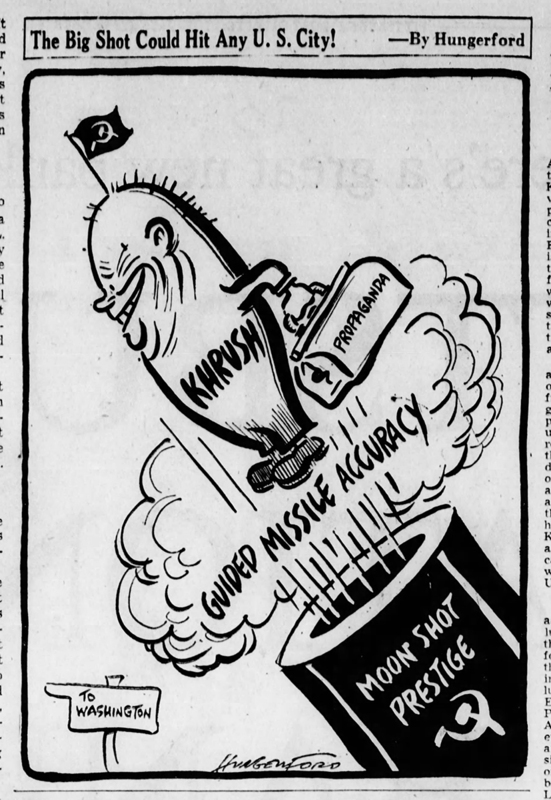 This cartoon ran in the Post-Gazette one day after the announcement of the Soviet’s latest lunar success. Pittsburgh-Post-Gazette, September 15, 1959. Frederic Thompson’s patent for his improved scenic apparatus, 1903. The drawing shows the orientation of the walkway onto the ship as well as the placement of the wings. Courtesy of the United States Patent Office. An illustration of the journey offered by the ride, “A Trip to the Moon,” 1901. The Latest and Best Views of the Pan-American Exposition, Buffalo, NY, 1901. Detre Library & Archives at the History Center. Luna Park, illuminated with some 250,000 incandescent lights, was as big a hit as the original ride had been back in Buffalo. By 1904, Pittsburgh received word that the Steel City would get its own version of this excitement when announcements heralded that Thompson and Dundy would replicate their wonderland here. 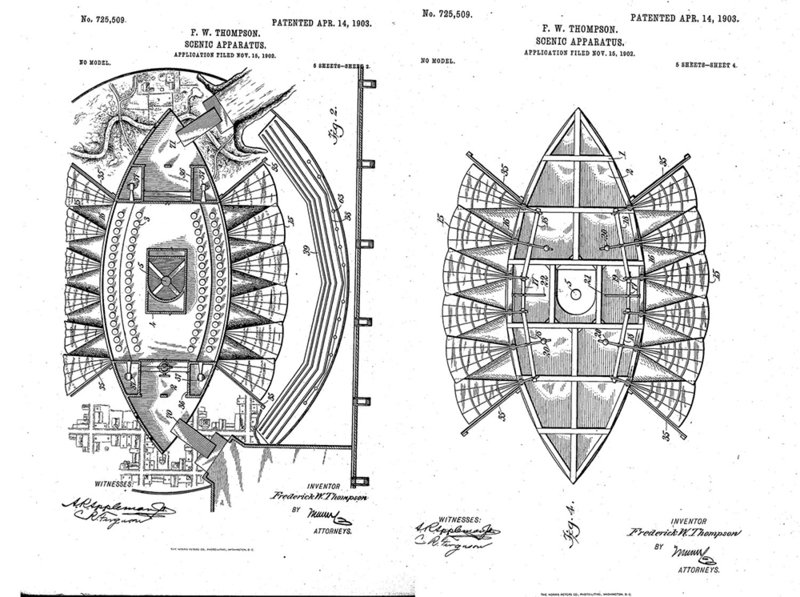 [v] The park was to be a business collaboration with Pittsburgh’s own Frederick Ingersoll. 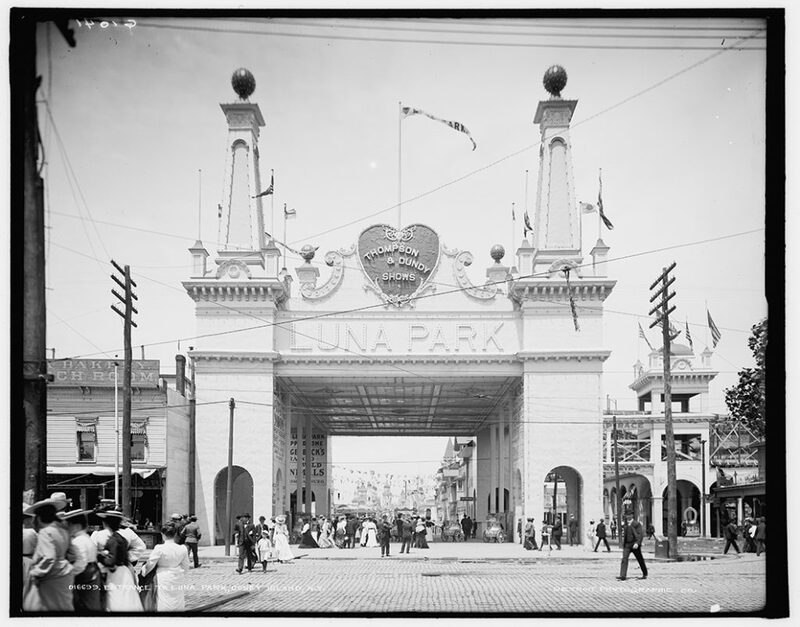 Alas, by the time Pittsburgh’s Luna Park opened in 1905, Thompson and Dundy were out of the picture: the business partnership collapsed within weeks of the original announcement. That is probably why no “Trip to the Moon” seems to have made it to Pittsburgh. The park itself didn’t last long, closing in 1909. But Frederick Ingersoll went on to be involved with the development of “Luna Parks” across the United States and overseas. In time, the term “Luna Park” came to be internationally recognized as a name meaning an amusement park. Today “Luna Parks” can be found all around the world, from Australia to Europe. When the Soviet craft Luna 2 made history by crashing into the Moon, many people no doubt worried about the technological threat it presented to the global community, and with good reason. But for others, it was one more reminder of that seemingly ever-present human desire to go farther and faster than previous generations, whether that was in a rocket, a roller coaster, or just in their own minds, on a simulated trip to the Moon on a carnival midway. Crowds enjoy the midway at the Pan-American Exposition, 1901. “A Trip to the Moon” would have been somewhere on the right side of the row. The Latest and Best Views of the Pan-American Exposition, Buffalo, N.Y., 1901. Detre Library & Archives at the History Center. 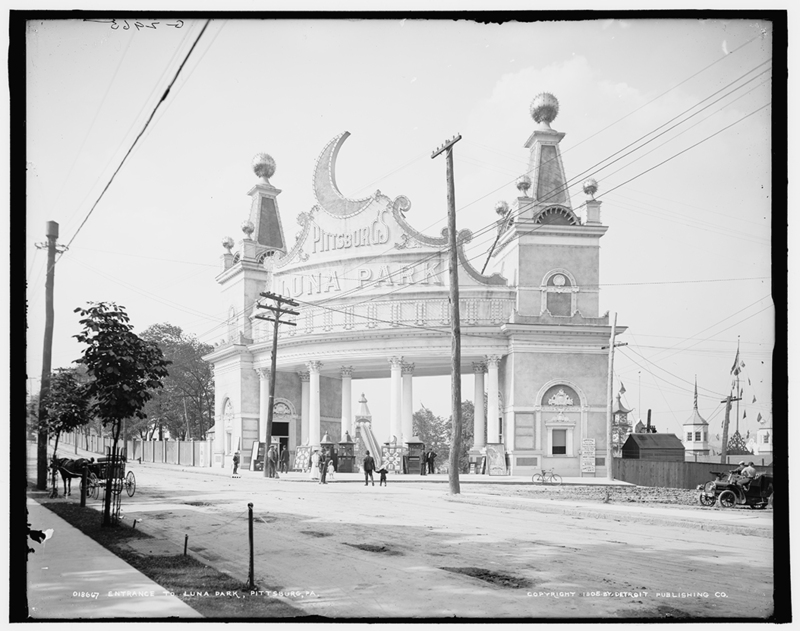 Entrance to Luna Park, Pittsburg, Pa., 1905. Pittsburgh’s Luna carried the theme of the Moon, although the ride itself after Thompson and Dundy pulled out of the venture. Courtesy of the Library of Congress, Prints and Photographs Division. Entrance to Luna Park on Coney Island, 1904. “A Trip to the Moon” was advertised in a billboard to the left as you walked through the entrance gate. Courtesy of the Library of Congress, Prints and Photographs Division. 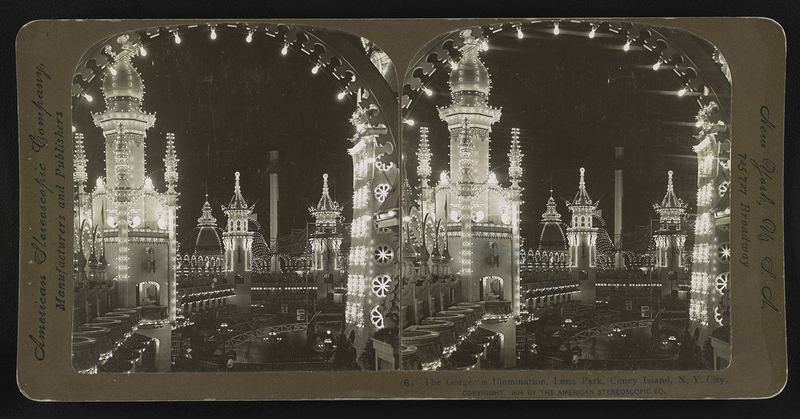 The Gorgeous Illumination, Luna Park, 1904. Images such as this one from the American Stereoscopic Company made Luna Park a familiar name across the country. Courtesy of the Library of Congress, Prints and Photographs Division. To learn more about the historic voyage of Luna 2, check out NASA’s page about the mission. 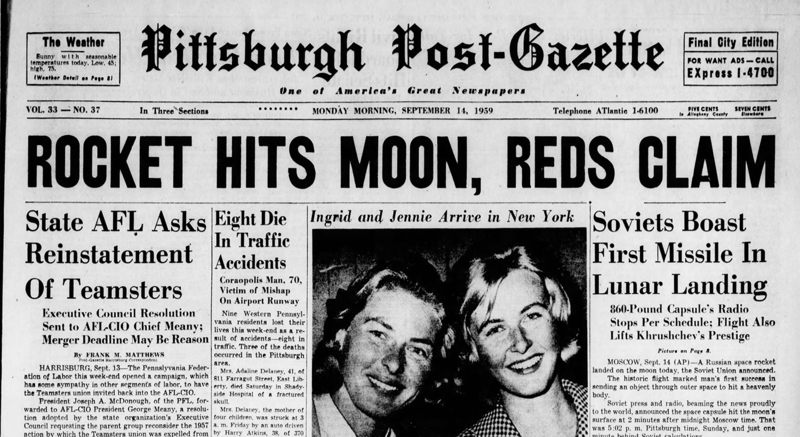 [i] “Rocket Hits Moon, Reds Claim,” Pittsburgh Post-Gazette, September 14, 1959. [iii] “A Trip to the Moon,” Pittston Gazette (Luzerne County), September 6, 1901; “A Trip to the Moon,” The News-Herald (Franklin, Pa), September 10, 1901. [iv] F. W. Thompson, patent for scenic apparatus, U. S. patent 725,509, filed November 15, 1902 and issued April 14, 1903. [v] Brian Butko, Luna: Pittsburgh’s Original Lost Kennywood (Pittsburgh: Senator John Heinz History Center, 2017): 44. Always enjoy the great history presented about various things and places. Thank you.